Completely rebuilt including new throttle shafts and plates, new Teflon throttle shaft bushings, jets, float valves and gaskets. $475.00 for the pair, equipped with any needle profile required for your engine. As well gold cadmium plating and polishing can be added to any SU rebuild. Here are a pair of Healy BJ8 SU HD8 carbs during and after a full restoration. 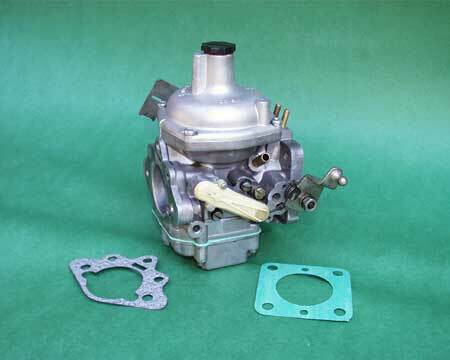 The Stromberg 175CD (constant depression) carb is substantially different from the SU carb, although the operating principles are similar. If your Stromberg is over rich, runs poorly on closed throttle, or seems to consume damper oil faster than gasoline, then we can make it perform like new again. All rebuilds include new: Hydrin (not nitrile) piston diaphragm, fuel needle assembly, fixed jet orifice, deceleration diaphragm, throttle shaft seals and shields, needle adjuster o-ring, float valve, vacuum chamber screws, and all gaskets. A typical exchange rebuild on a Stromberg 175CDSE for Volvo B21A, $325.00. If you have Stromberg 175's on any other application, we would be pleased to quote the overhaul of those carbs as well. On most SU’s the fuel pipes are 1⁄4 inch outside diameter, and that's just too small for the screw type clamps with perforated bands. The hose oozes through the perforations, they need constant tightening, damage the hose, can distort the pipe, and are tough to remove. We now have a supplier of the Italian made spring clamps appropriate to the hose used on SU and Stromberg carbs. They install with a pair of pliers, provide a constant gentle clamping force, slide back easily to allow quick removal of the hose, and look great. 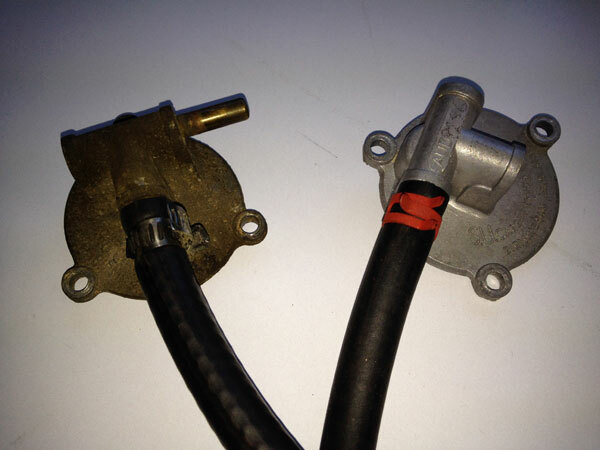 Three of them are included with any carb rebuild pair that uses hose connections and more are available at very little cost.